Basic Photographic Materials and Processes describes the three crucial stages of creating the perfect photograph: capture, processing and output by providing a thorough technical investigation of modern, applied photographic technologies. This new edition has been fully revised and updated to explore digital image capture, processing and output. It covers a wide range of topics including: the scientific principles of measuring and recording light, the inner workings of digital cameras, image processing concepts, color management and photographic output to screen and print media. With these topics come in-depth discussions of extending dynamic range, image histograms, camera characterization, display capabilities, printer and paper technologies. It also includes applied exercises that provide the reader with a deeper understanding of the material through hands-on experiments and demonstrations, connecting theoretical concepts to real-world use. This comprehensive text provides photography students, educators and working professionals with the technical knowledge required to successfully create images and manage digital photographic assets. It is an essential resource for mastering the technical craft of photography. Nanette Salvaggio is the Lecturer responsible for the Photographic Technologies class at the Rochester Institute of Technology. Her career in the photography industry includes work with Eastman Kodak, Hughes Aircraft Corporation, TASC Inc and Imagery Solutions, which she co-owned. Josh Shagram is an Image Scientist within the Space and Intelligence Systems division at Harris Corporation. He taught technical and scientific photography at the Rochester Institute of Technology from 2010-2015. "Throughout the text, the authors aim to demystify the plethora of terms and acronyms encountered in digital photography while providing a basis for understanding existing and future digital imaging technologies. 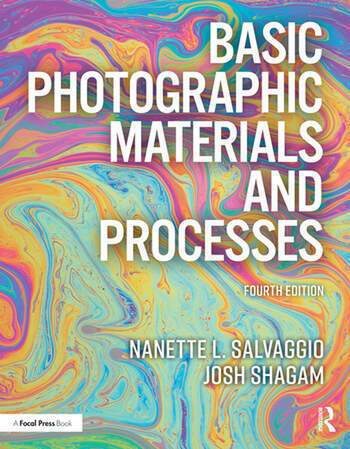 Basic Photographic Materials and Processes 4th edition serves as the ultimate, yet concise, resource in the field." "As photo-based artist and educator who is always asking how and why something works, this is the book I grab to answer many of those questions. The authors have done an amazing job explaining the science of photography in a very approachable manner. It is the book I recommend to all my students when they ask me any scientific question I cannot answer." Lewis J. Crawford, Assistant Professor (Lecturer), University of Utah.